JON D. BERMAN graduated from New York University in 1974 with a Bachelor of Fine Arts. He earned his Juris Doctorate, with honors, from the University of Connecticut Law School in 1979. 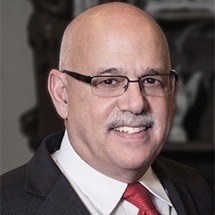 He was admitted to the Connecticut Bar in 1979, and is a member as well of the Hartford County Bar Association, the Connecticut Trial Lawyers Association, and the American Association for Justice. Attorney Berman has served as legal counsel to the State Senate Democrats in the Connecticut General Assembly. He currently serves as a court appointed arbitrator and trial referee. Attorney Berman's practice consists primarily of matters in trial or litigation, particularly personal injury, workers' compensation and criminal defense.